My first question was answered almost immediately. 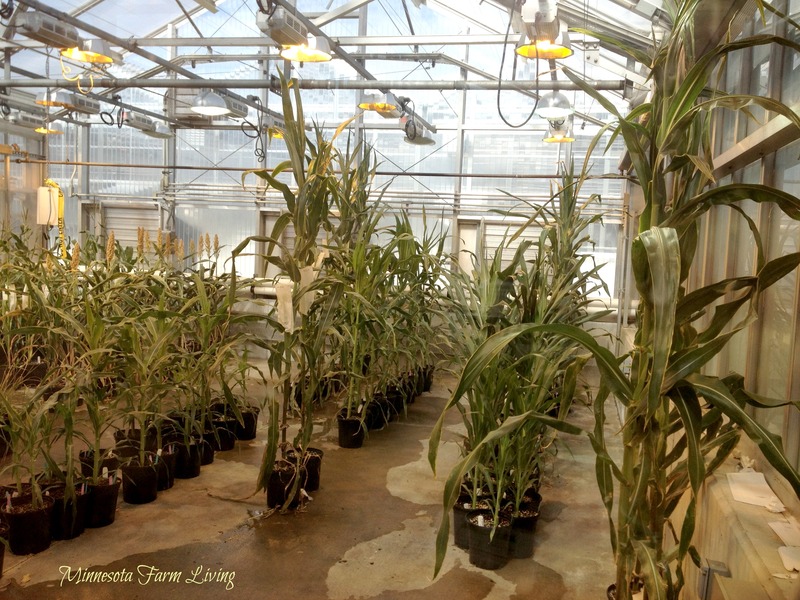 Who funds the research at the Danforth Plant Science Center? I was always told, “follow the money” when researching issues. 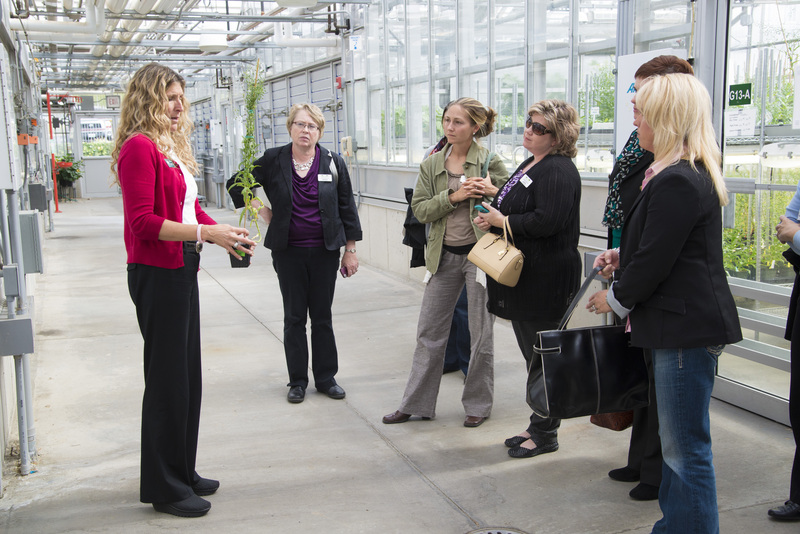 It was so refreshing to hear the Danforth Plant Science Center is an independent research facility. Very little money (about 10%) is contributed from corporations to conduct research. So where does the money come from? Almost half of their funding comes from the government in the form of grants. Another significant portion of funding comes from renting out portions of the facility to companies and/or universities to conduct their own studies. I was thrilled to learn that Pam Johnson, past National Corn Growers president, was planning on speaking with us first. Her message was uplifting and empowering. And I loved the personal connection we all felt. We were all “women in ag“, which gives us a special place and purpose in agriculture. Pam told us that we all have “Power and Significance” with our voices. Our next speaker was Nathan Fields, the Director of Biotech and Economic Analysis from NCGA. 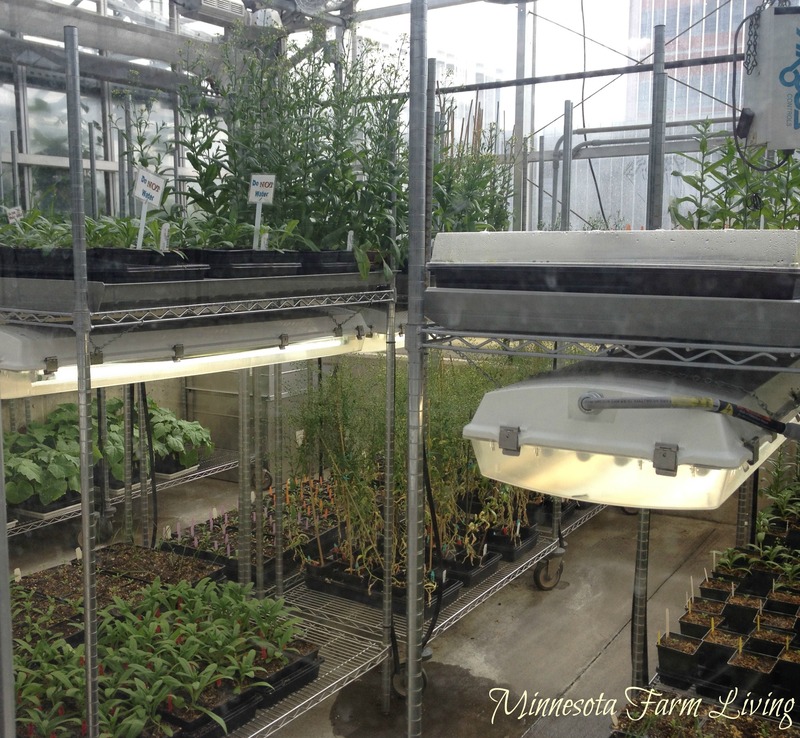 Nathan gave us some insight on how to talk with others about biotech. The biggest issue in regards to biotech is the general lack of knowledge of what biotech is and is not. Having conversations can alleviate some of those misunderstandings. Our third speaker was a scientist, Dr. Martina Newell-McGloughlin. She spoke to us about the research she oversees at the University of California. She is the Director of Biotechnology and Research Education for the entire University of California college system. Our last speaker was Dr. Elizabeth Kellogg, who will be joining the Danforth Plant Science Center in January. Both of these women enlightened us on biotechnology. I am really excited about what is on the horizon in regards to biotechnology. Here are just a few of the conference highlights. St. Louis has the most PHD’s residing than anywhere else in the U.S.
Our day was not complete until we toured the center. It’s a beautiful building and has so many research areas where scholars from all over the world conduct research. 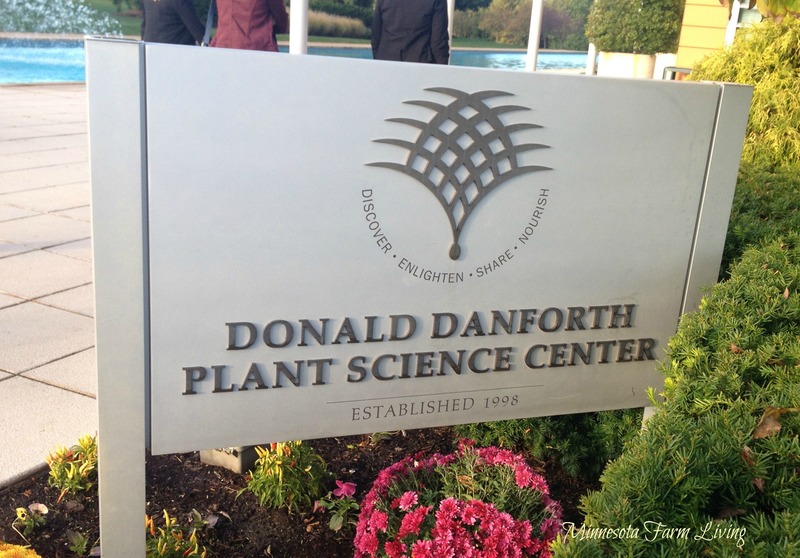 People from over 23 countries work at the Danforth Plant Center. 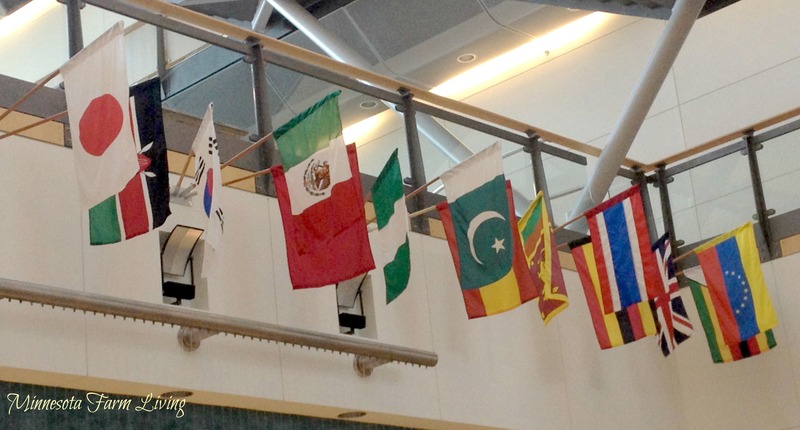 It was very welcoming to see how they recognize the workforce diversity by having each country represented with their employee’s respective country’s flag. I am so glad I was invited and able to attend. There is nothing better than asking tough questions and learning the answers. We are moms and our families are important to us. And just like other moms, we need to know the food we feed them is healthy and safe. Here are a few more pictures from the conference.